The billionaire "King of Superfund Sites" wants to open a giant radioactive dump in West Texas…what could go wrong? The nuclear crisis in Japan has provided a vivid reminder that one of the biggest conundrums of atomic power is what do do with all of the resulting radioactive waste. Harold Simmons believes he’s found an answer. The Texas billionaire and corporate raider is opening a nuclear waste dump in West Texas, despite objections from environmentalists and the state’s own experts. One of the Lone Star State’s largest donors to Republican causes, Simmons expects his that privately-owned site will become the nation’s most sought after radioactive waste repository. The reclusive, litigious 79-year-old made his personal fortune from garbage collection, drug stores, metals, and chemicals. His net worth is valued at $5.7 billion, making him the 55th richest American, according to Forbes. He’s shared his money—more than $10 million of it—with conservative politicians and causes, bankrolling attack ads against John Kerry and Barack Obama and giving Republican Texas Governor Rick Perry at least $1.2 million. He has been fined for violating campaign donation limits and outed by one of his daughters for paying her to let him make political contributions in her name. He’s been called the "King of Superfund Sites" for his work disposing of hazardous waste. Last year, D Magazine named him "Dallas’ most evil genius." Much of Simmons’ genius resides in how he’s leveraged his political investments. In 1995, he bought a hazardous waste disposal company, Waste Control Specialists, and set about converting an isolated spot in Andrews County into a nuclear waste dump. 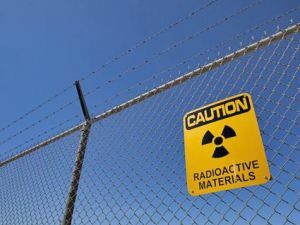 After six years of lobbying the state legislature, WCS convinced it to pass a law authorizing private companies to be licensed to handle radioactive waste. Two licenses sought by WCS would allow it to accept a total of 60 million cubic feet of low-level radioactive waste from federal and state sources, including nuclear reactors, weapons programs, and hospitals. (That’s roughly enough waste to fill half of Cowboys Stadium.) The licenses didn’t need detailed approval from federal nuclear regulators because the dump wouldn’t handle the highest grades of radioactive waste; unlike the proposed Yucca Mountain dump in Nevada, for example, the 1,338-acre WCS dump can’t accept spent nuclear fuel rods. Concerned that radioactive material from the dump could contaminate groundwater, three staffers at the state environmental commission quit rather than approve its license. State engineers and geologists strongly objected to licensing the the dump. Concerned that radioactive material could contaminate groundwater, three staffers at the Texas Commission on Environmental Quality resigned rather than sign off on the licenses. In a 2007 memo, four TCEQ engineers and geologists concluded that the site’s proximity to the water table "makes groundwater intrusion into the disposal units highly likely" and suggested that it not be approved. One of the resigned staffers, an engineer named Encarnacion Serna, told the Texas Observer’s Forrest Wilder that the site’s geology made it unfit for storing nuclear waste. Nevertheless, he explained, "I started getting the idea that these people are going to license this thing no matter what. I felt that in clear conscience I couldn’t grant a license with what was being proposed." In 2008, TCEQ executive director Glenn Shankle quit the agency only to become a $150,000-a-year lobbyist for WCS. The company’s licenses to store radioactive waste were approved in May 2008 and September 2009. "Even the mafia was more circumspect than this," Glenn Lewis, one of the TCEQ whistleblowers, told the Observer at the time. "It just shows that…big money and a lot of political power won once again." With his license to operate in hand, Simmons began an audacious campaign to expand the dump site from a mostly local operation into one that could eventually become the largest of its kind in the country. A huge market for radioactive waste disposal was just waiting to be tapped: 36 states lack a permanent place to store their radioactive cast-offs. This has long been an obstacle for building new nuclear power plants; some have had their permits held up over the issue. Only Vermont had a deal to dispose of its nuclear waste in Texas, so Simmons began lobbying to amend the nearly 20-year-old compact with the Green Mountain State to allow other states to also send their radioactive waste to the WCS site. The decision to alter the compact rested with the seven members of the obscure Low-Level Radioactive Waste Disposal Compact Commission, six of whom had been appointed by Gov. Perry, one of the largest recipients of Simmons’ campaign cash. A peculiar legal loophole in the Texas-Vermont compact allows the commission, by a majority vote, to allow radioactive waste imports from other states. Despite opposition to that idea from everyone from Bass Unlimited to the NAACP, in January the commission approved a process for accepting the out-of-state nuclear material. Any state can now petition the commission to have its radioactive waste buried in Texas. There’s another big reason why this was a huge win for Simmons: The compact allows him to get paid for burying other states’ nuclear trash while outsourcing much of the risk to Texas taxpayers. Though the state will receive a cut of disposal fees and $36 million to cover "corrective action" and "post-closure" expenses, it will have to bear any other cleanup costs on its own. According to a report by the Texas Sunset Advisory Commission: "Potential future contamination [from the waste] could not only have a severe impact to the environment and human health, but to the State, which bears the ultimate financial responsibility for compact waste disposal facility site." The Sierra Club and other environmental groups have sued to overturn WCS’s nuclear disposal licenses. But the controversy that surrounds the deal hasn’t stopped the nuclear power industry from getting behind it. "This is a major milestone," Ralph Andersen, the Nuclear Energy Institute’s senior director of radiation, safety, and environmental protection, told the Wall Street Journal. "It’s going to provide much needed space."